বঙ্গভবনে কি হচ্ছিল রাত ১২ টায়! Immediately after firing the tracer round of a field gun from 2Fd Arty Regt ordered by Maj. Mohiuddin one of the leader of Sena Parishad in the sky as the signal to start the revoulution, an heavily armed contingent of revolutionaries and Tanks under the leadership of Maj. Mohiuddin himself rushed to the residence of Gen. Zia at the 27 Shaheed Moinul Road where he was kept under house arrest to free him. The guards from the 1East Bengal Regt, loyal to Maj. Hafiz and his brother in law Lt. Iqbal by then being scared sensing the changing tide had alredy fled away scaling the boundary wall at the back to save themselves from the warth of the angry revolutionaries. Sir we have come to take you. I have retired, I don’t like to get involved in any thing any more. Where shall I go! You just ensure that I get my pension, I am totally confused and failing to understand what’s happening! At the instruction of the top leadership of Sena Parisad at bang Kok we have come to free you and take along, we have turned the table against the Khaled & co through staging another revolutionary uprising. Shall reinstall you again as the Chief of Army Staff. For God sake, please come with us Mohiuddin urged Gen. Zia firmly. Then Zia could understand everything clearly and had a sigh of relief. Begum Zia was standing behind the doors completely shattered with fear and a devastating face was witnessing everything with baffled eyes! Please brother, don’t drag us into anything again, I beg you, please leave us alone. Sir, please make Bhabi undertand that you are our desired chif so, you have to go with us. ‘Naraye Takbir Allah Hu Akbar’. ‘Dalim-Taher Zindabad Khaled Musharrof Murdabad’. ‘Dalim Zia Jekhane Amra Achi Shekhane’. Begum Zia came out in the Varanda immotonally charged and overwhelmed with the unimaginable event and became a living witness with tears rolling down her chicks to an unprecedented historic event. Maj. Mohiuddin replied shortly, to the 2Fd Regt. As his convoy entered the 2Fd Regt. The officers and the soldiers of 2Fd and 4Bengal Regts burst into joy. He was straight way taken inside the CO’s room. Since his arrival no other than Maj. Mohiuddin, Col. Aminul Haq, Capt. Zubair, Capt. Kamal, Capt. Munir, Sub. Major Anis none others were allowed to enter. Out side strict security cordon was made all around. Basically, the successful Shipahi Janatar Biplob of 7th November was organized and monitoed by the leaders who had left the country at will and positioned themselves at Bangkok. Col. Taher’s responsibility was out side. The cells of boiplobik shoinik shangstha inside the cantonment as agreed earlier were functioning under the central leadership of Sena Parisad. Gen. Zia in Kurta and Payjama had a sigh of relief after reaching 2Fd Regt. He could easily realized that the Sena Parisad which spearheaded the August Revolution was the main driving force behind the 7th November’s Sipahi Janatar Revolution. When Brig. Khaled and Co would get exposed as the pawns of India and get isolated from the majority of the people at that time Sena Parisad and Boiplobik Shangstha unitedly would oust Brig. Khaled clique staging another armed revolution. After the success of the revolution you would be reinstead as the Chief of Army Staff. To carry forward the spirit and programe of 15th August you would have to request Khandakar Mushtaq Ahmed to takeover the responsibility as the President again. Arrangement to bribg back the leaders from Bangkok has to be made forthwith to assist you to in bring back stability and reorganization of the armed forces. Some of the legimate demands of the Biplobi Shoinik Shangstha have to addressed such as abolition of the practice of Batman, transperency in case promotion of ranks and files. Gen. Zia ordered Maj. Mohiuddin to try to get back all the officers back to their unites who ran away being frighten. Brig. Khalil of BDR, Col. Mahabbatjan Choudhury, Admiral MA Khan and AVM Tawab were called in at the order of Gen. Zia. Let him come and we shall see, there is nothing to be worried about. Instead thanked him for accomplishing the assigned task. He ordered him from now no one particularly from Boiplobik Shoinik Shangstha no one should be allowed to get in the TV and Radio stations with out prior permission. There after he called Bangkok and wanted to know what needs to be done in this regard. Absolute control has to be maintained over the TV and Radio stations along with booster station at Savar. Tanks to be seployed around both the stations forthwith. He was told at no cost Col. Taher should be allowed to sire on Gen Zia. He might attempt to implement his programe of ‘Sientific Socialism’ through Zia. Should he tries that then all though he is an ally, sturn action should be taken against him and the cantonment should be made out of bound for him. He might try to play the same game again which he tried with us after 15th August taking advantage of our absence. Why the troops had been sent to the Radio and TV station? For the security reason crisp reply of Maj. Mohiuddin. Taher thank you all for saving my life as well as the country. Taher took Zia at a corner and demanded that he should go to the Radio and TV forthwith without westing any time to address the nation. He should inform the nation that the Khaled clique has been over thrown and being freed from the captivity he has again taken over as the Army Chief. The situation is fully under control of the patriotic armed forces. He must appeal to the people to cooperate with the armed forces to bring back normalcy and stability through out the country. He had already talked with president Mustaq and he personally had requested him to take over again as the President. But he declined his request sighting constitutional legitimacy. He said very foolishly Khaled had promulgated Martial Law abrogating the constitution and had desolved the cabinet and the parliament. So, his taking over as the President would never get legitimacy. In the present context the sitting President should remain functional as the Chief Martial Law Administrator and three Chiefs should act as the Deputy Martial Law Administrators to run the country. According to him all the officers from Bangkok should be brought back immediately as there is no other alternative. He further told him that as the Army Chief he has to play the major role. The main aim of the present government would be to resume multy party politics in accordance with his address to the nation that he made after 15th of August Revolution fullfiling his commitment to restablish democracy and holding national election. He would in that process shall become the President again if voted by the people. He has also pledged to help them in any way should that be necessary. Why he has decided not to takeover the responsibility again as the President inspite of Gen. Zia’s request that he will explain in his address to the nation. He asvised Gen. Zia to go on Air as soon as possible to affress the nation. In his short speech he should let the countrymen know that the conspiracy of Brig. Khaled and Co has been foiled by the patriotic members of the armed forces and the conscious people together. He further informed that he and Khandakar Mushtaq had all ready contacted with the officers at Bangkok. They had also accepted his lpgical submission and his decision. Zia had said the rightly, we had accepted khandakar Mushtaq’s submission and decision because he was not on;y a proffessional lawyer but an constitutional expert as well. Certainly Gen. Zia would be addressing the nation shortly. Very soon people from the Radio and TV would be reaching to record his short speech for broadcasting. He further informed him President Sayem and President Mushtaq will also be addressing the nation live, that arrangement has also been made. As his plan failed, Col. Taher left 2Fd Regt. He could not take it that his influence was gradually diminishing. All his thoughts were then circling around power. That very night Zia’s address was recorded at the 2Fd Arty Regt. Since then it was broadcasted contituously on the Radio and Tv. Later the address of Justice Sayem and Mushtaq’s address to the nation were also broadcasted live. I am Gen. Zia speaking. The anti national conspiratorial coup staged by Brig. Khaled and Co has been foiled through the great Sipahi Janatar Revolution of 7th November and at the request of the revolutionaries I have once again had taken over as the Army Chief for the greater interests of the country and the people. I urge to my beloved countrymen to remain calm and get back to their normal duties. I request all to reopen the closed offices, courts, airport, mills and factories and help the patriotic armed forces to restore normalcy in the country. Before finishing his address Gen. Zia had said that It was Allah, the unity of the people and the patriotic armed forces are our streanth. This address reassured and inspired the people. When the people of Bangladesh realised that the objective of the reactionary putch of Brig. khaled and his clique was to reverse the process of the change of 15th August and to restore Bakshalite regime back to power again at the behest of India, the whole nation was begging to Allah the most Gracious and most Mercifull to save the country from this henious conspiracy and was longing for a change. Agaist this aspiration of the people when the patriotic revolutionay members of the armed forces spearheaded an armed uprising once again with thunder against this conspiracy the people all over came out and joined them expressing solidarity as they had done just after the epoch making 15th August revolutionary change. Spontaneously, streams of people came out chanting thundering slogans like, ‘Naraye Takbir Allah Hu Akbar’, ‘ Sipahi janata Bhai Bhai’, ‘Sipahi Janatar Biplob Zindabad’, ‘Bangladesh Zindabad’. All these thundering slogan gave a clear messege to the world that the unity of the fighting people of Bangladesh against any anti national design is impregnable. The same mesege was well understood by the hegimonist India and it’s local lackies. Khandakar Mushtaq should be requested to take over as the President again. In reply Gen. Zia apprised him in details that had been discussed between him, us and Khandakar Mushtaq. After listning to what Gen. Zia had said Gen. Osmani agreed with the rational decision and advises of Khandakar Mushtaq. He emphesised that the democratic polity should be resumed as commited by President Mushtaq Ahmed. For that all the political prisoners languishing in the Jails who fought against the tyrannical Facist regime of Mujib must be released forthwith. The multy party politics should be commenced as scheduled in the address to the nation by President Mushtaq followed by the national elections. Then the elected Parliament shall adopt the new constitution after necessary amendments reflectimg the desire and aspiration of the whole nation without any discrimination of cast, creed and color the constitution should be founed on national heritage, religious, human and cultural values. As the majority of Bangladeshi people are Muslim therefore it must be clearly stated in the preamble that Allah Subhan Wa Talah, the Creator and Most Powerfull is Sovereign. This must be the foundation of the constitution of the 2nd largest Muslim country in the world. When these matters were being discussed Col. Taher arrived again. In front of the grim faced Col. Taher agreed charter of demands of the soldiers was handed over to Gen. Zia. After going through the charter Gen. Zia said that these are legitimate demands and he promised implimenting them and had signed the charter. 7th November was a busy day for Gen. Zia. At noon he set off to have a look of the cantonment accompanied with Maj. Mohiuddin and Sub. Anis. He went around 1Bengal, 4Bengal, Bengal Lancers, Signal, Ordinance, Engineer, Light AA unit lines. After the visit he returned to 2Fd Regt. Col. Taher was still there waiting for Gen. Zia. As he returned Col. Taher proposed that in the afternoon he has organized a students and public gathering at the Shaheed Minar where Gen. Zia as the Chief Guest has to address the gathering. Gen. Zia discurded the proposal and invited Col. Taher to come to the Radio in the evening. Frustrated Col. Taher left. However, he arrived at the well fortified Radio station in the evening and both Gen. Zia and Col. Taher listened live addresses to the nation made by President justice Sayem and President Mushtaq. There Col. Taher realised that because of the streanth of Sena Parisad it wouldn’t be possible for him to prevail on Gen. Zia. As Col. Taher was about to leave the Radio station Maj. Mohiuddin politely told Col. Taher not to visit the cantonment as there are some intelligence reports suggesting that Col. Taher was conspiring to kill Gen. Zia. After returning from the Radio station furious and desparate Col. Taher took a disastrous decision to raise the slogans of class struggle through his insignificant number of cells of Biplobi Shoinik Shangstha and capture Dhaka cantonment killing all officers. He thought if he could catch the immagination of the ranks and files i9n Dhaka that would spread like prairie in all the other cantonments. The people will also join in. With such a self defeating misnorma 7-8th November at around mid night at a few places in the cantonment the slogans like, ‘Sipahi Sipahi Bhai Bhai Ofisarder Rokto Chai’ along with gun fire could be heard. Sena Parisad anticipated Col. Taher could venture such a move being desperate. Immediately Maj. Mohiuddin, Sub Major Anis and other officers of Sena Parisad present in 2Fd Regt got in touch with all the unites of Sena Parisad in Dhaka and all other cantonment and ordered to counter the reactionary adventure of Col. Taher. Within a shortwhile, some groups of armed members of Biplobi Shoinik Shangstha were over powered and arrested from a few locations within Dhaka cantonment and the move of Col. Taher was quelled and somehow Col. Managed to escape and went under ground. But unfoprtunately 12 officers were killed in this confrontation. Before the day brake, the situation was fully under control of the Sena Parisad. City dwellers could hardly knew what had happened at night. So, the life at the dawn started as usual. On 9th November , some leaders of different political parties along with Mr. Rab and Maj. Jalil of JSD were released from the Jail. Few run away and hiding officers returned to their unites between 10th and 12th November. Meanwhile, the Commando Battalion under Col. Salam arrived to fortify the AHQ(Sena Sadar)as ordered by Gen. Zia. There after Gen. Zia moved out from the 2Fd Regt and shiffted to the Sena Sadar. Since then he was functioning as the Chief from there. After both of Col. Taher’s moved faild he became insane. He after discussing with the leaders of Jashad(JSD) decided such an anarchic situation has to be created through out the country so that the Indian troops can move in so that a people’s war can be started. Wining that war JSD would impliment their ‘Sientific Socialism’ in Bangladesh. Accordingly they planed to attack the Indian High Commission in Dhaka and kill all the diplomats including the High Commissioner and staffs. They presumed that if they become successful in that attack then Indian government will surely send in troops inside Bangladesh in retaliation. I feel appropriate here to mention that after 15th August revolutionary uprising Indira Gandhi’s government had mobilized it’s troops including Para Brigades to invade Bangladesh but observing overwhelming support of the people in favor of the revolutionary uprising of 15th August, India had to stand down and abandoned that plan. Besides there were two more reasons for their change of hearts. After the fall of the Facist one party BAKSHAL government when Khandakar Mushtaq took over as the President of a civilian government only then USA, PRC, Pakistan, Saudi Arabia and most of the oil rich countries of the Gulf recognized Bangladesh. As India poised to invade Bangladesh, at the request of Mushtaq’s government Voice of America and Radio Piking simultaniously announced that the political change in Bangladesh is an internal affaire of Bangladesh. any outside interfierance in Bangladesh would destabilized the entire reagion and that would not be acceptable to PRC and USA. More over, in reaction to Indian troops movement PRC also re-enforced their forces in the Meghalaya and Arunachal sectors. These moves could not be taken lightly by India belonging to Soviet axis. India though was forced to stand down but kept their forces deployed around Bangladesh. This was known to JSD and Col. Taher. To create an excuse under the command of Col. Taher two of his brothers alongwith an armed group attacked one day the Indian High Commission. During the crossfire Mr. Samar Sen, the High Commissioner got slightly injured but was saved. Some of the intruders were injured and dead in the encounter and rest all were arrested by the law enforcing agencies protecting the High Commission. As the High Commissioner along with other diplomats and staffs were saved, India did not get the chance to invade Bangladesh. On 19th November Col. Taher, Maj. Jalil, Mr. Rab, Mr. Shahjahan Shiraj, top leaders of JSD who went into hiding after the failed attack were arrested. On 21st July 1076, according to the verdict of a Special Military Tribunal Col. Taher, a close friend, patriot, valiant freedom fighter and a pro people revolutionary attempting to implement his erroneous political ideology had walked bravely to the Gallows settling all accounts. Why did Gen. Zia had appointed Brig. Yusuf Haider(Gen. Zia’s coursemate) as the President of that court. Other members were Wing Commander Rashid, Commodore Siddiq Ahmed, Magistrate Abdul Ali and hasan. This trial remains to be contrvercial till this date. Grossly violating the code of conduct the Kangaroo Tribunal hanged Col. Taher in a haist but other co-accused and top leaders of JSD were not hanged but released miteriously! Later, some of them ornamented Zia’s cabinet. Some of these and other top leaders of JSD later became bedfellows of Gen. Ershad and Awami League as well sharing the power and loots at the same time had been shamelessly mourning for Col. Taher’s brutal death shedding crocodile tears! The new generation must be carefull about the real face of these self seeking opportunist so called leaders void of any character, ethics, ideals and morality for the sake of sowing the seed of healthy political culture. Not only that, I also leave to the readers to find the truth from the revealed facts the propagated mith that it was Col. Taher who was the champion of the 7th November’s epoch making Sipahi Janatar Biplob and freed Gen. Zia from the captivity. After shifting to the AHQ from 2Fd Regt, Gen. Zia, the rallying figure of the Sena Parisad and the revolutionaries started feeling comfortable. But then Gen. Zia had a different face. He was then surounded by Brig. Mir Shawkat, col. Oli, Brig. Manjur, Brig. Mahabbat Jan Choudhury, Brig. Mocchu Salam, Brig. Ershad, Col. Sadek, Col. Nasim etc. They all were the main advisors of Gen. Zia then. It became almost impossible for leaders like Maj. Mohiuddin, Sub. Maj. Anis, Risaldar Sarwar, Flt Sergt. Afsar to reach Gen. Zia penitrating through that cordon of his chosen cronises. Since Gen. Zia took himself away from his tested comrades and brought those around him considering most trusted ones those oppurtunists power hungry spiders started spreding a net around Gen. Zia about which Gen. Zia was not aware of. Shawkat could convince Gen. Zia to raise the 9 Div at Dhaka and after managing his promotion and became the GOC himself. At his advice Ershad was given doubble promotion and made a General violating army act while he was doing his NDC course in India. On his return a charecterless and corrupt officer like him was appointed as the Deputy Chief Of Army Staff. At the same time Manjur was also promoted and appointed as CGS as a check and balance following the principle ‘Divide and Rule’.to All powerful Gen. Zia at that time failed to understand what might be the outcome of such a mischivious move within the army. He however, did realized that but then it was too late. At this point I deem it appropriate to mention about a very duvious connection that had been established. When Ershad was doing his NDC course in India an bright officer of Indian Foreign Ministry named Mr. Muchkund Dube became his close friend. Through him Ershad developed relation with RAW. Zia perhaps had no knowledge about this. later when Gen. Ershad took over power that Mr. MuchKund Dube was sent to Dhaka as the High Commissioner. When Gen. Ershad on gun point removed ailing elected President Sattar and became President then journalists from national and international Media when wanted to know the reaction of Sheikh Hasina, she said, ‘I am not unhappy’. All these were the links of the same chain. It has been decided that Nurul Islam Shishu would be brought from Burma and will be promoted as General. Moinul Hussain while fleeing from the cantonment after the revolution of 7th November took refuge at the CMH with a broken leg was also promoted. All these news were being communicated to the leaders at Bangkok by Sena Parisad. Gen. Zia was recalling all whome he liked from foreign countries but was not concerned about the leaders of Sena Parisad at Bangkok. Gen. His associates were also putting pressure on Gen. Zia not to impliment the demands of the revolutionary soldiers. As a result, resentment against Gen. Zia and his cronies started fuming the revolutionaries. Sensing this shrewd Gen. Zia called for a grand Darbar at the Shena Junja Kunja at Dhaka Cantt. to passify the revolutionaries. In that Darbar during the questions and answers session an embarassing situation developed when Gen. Zia was questioned about his integrity and sincerity. Gen. Zia was unable to answer the pearcing questions from the revolutionaries. The questioned him why he is delaying the return of the leaders at Bangkok? Why he was not implimenting the legitimate demands? Why he is distancing himself from the Sena Parisad and revolutionaries? Why the most corrupt and oppurtunist officers had been brought to cordon him at the AHQ? Why Sena Parisad is not consulted before taking vital decisions? Sir, you are our Chief therefore, how could you think we do not beleive you? We are just suggesting that you should streanthen your hands by bringing our leaders from Bangkok at the shortest time. We can’t west time as we have to move forward fast. Thus the Darbar ended in a fiasco. Atfter shifting at the AHQ the rallying figure of Sena Parisad had gathered his old confidants to consolidate his power. Staying abroad we had no difficulty to understand that the central figure Gen. Zia of our organization after being saddled into the seat of power has started a different game of his own. In this game after neutralizing Col. Taher and his Biplobi Shoinik Shangstha it is now the Sena Parisad which is considered to be the most powerful opponent by Gen. Zia. It did not take long to get the proof. After that Darbar Zia was advised to send away all the unites under Log Area Commander including Lancers and A.A. Regt from Dhaka. Because Sena Parisad has strong presence in all these unites. However, if 2Fd Regt is touched now then it wouldn’t be possible for Gen. Zia to hold on to power as he would be toppled easily. This was suggested by evil minded crooked Gen. Mir Shawkat. Gen. Ershad, Gen. Mocchu Salam, Brig. Moinul Hussain, Col. Nasim etc supported his proposal. Being reassured Gen. Zia took the decision. The entire Lancers would be sent to Bogra leaving only one squadron at Savar. Signal unit would be sent to Comilla and A>A> unit would be sent to Rangpur. Peace prevailed everywhere. Now started the hinious game of conspirators and self seeking power hungry officers. They became successful poisioning Gen. Zia’s brain. The soldiers who are vocal about their 12 point demand have to be tought a befitting lesion otherwise, they would again raise their heads. They might revolt again. Their streanth has to be crushed now. All the paper tigers advisors have assembled now around Zia. By now Mir Shawkat Ali has come from Jessore and raised 9Div at Dhaka and became GOC being promoted as Maj. Gen.
Ershad flew in from Delhi. He is now Deputy Chief of Zia after being promoted. Manjur had also been back from Delhi. Brig. Nurul Islam Shishu has been recalled from Burma. Col. Moinul Hussain a bed ridden officer left CMH with his broken leg and has also come to join the lot. They all had captured Gen. Zia firmly in their fold. There was a feast of bread and butter at the AHQ. Zia had taken enough insult. Meanwhile, attempts have been made to extricate many privilages including abolishing the practice of Batman under durace. No more pressure tactics. Now, is the time to take into task all those behind the 12 point demands. The Deputy Chief of Staff and 9Div commander Mir Shawkat are now his main advisors. Zia is now under their steam roller. He is totally at their mercy. For their own interests they are pushing Gen. Zia expedeciously towards the confrontational course with revolutionary soldiers. I want to remove the Signal unit from Dhaka. They have become over educated. Why what has happened? This was a pre scheduled programe. The Bengal Lancers is the most undisciplined unit. I shall send them out from Dhaka to Bogra. You talk to Manjur, he is making all arrangements. It wouldn’t be right to vome them, they will react. I am aware that you are trying to be popular. I understand everything, but they must go. In that case you better take out this unit from the LOG Area Command. I shall not be able to pass on this order to them. Because I know it for sure it will create problem. Hamid I can understand everything and I am well informed. Okay from now the Bengal Lancers is no more under your command, it is under direct command of the AHQ. You will receive the letter. I know about this. Thank you and and wishing you best of luck with the Tankers. Most probably that was my last conversation with Manjur. Later Manjur was brutally killed after the abortive uprising at Chittagong. Thank you and wishing you best of luck with the Tankers. whatever, now is the time for strong action. They were ordered to leave Dhaka and move to Bogra. It was told that it was a tactical move. But for the Lamcers it was not difficult to know the real intention. They bluntly refused to comply with Gen. Zia’s order. Once again explosive situation had merged afresh. The furious Lancers again rose in arms. The warmed up their Tanks and got ready to confront Zia. They will demolish Zia’s AHQ. On 22nd November the situation became fearfully tense and fearsome. Any time firing could start. Zia was again in grave crisis. He had to begg assistance from Maj. Mohiuddin, Sub. Maj. Anis and Risaldar Sarwar to salvage him from the grave crisis. They defused the situation after talking to their fellow revolutionary comrades. Here I deem it appropriate to reveal some facts to the readers which are not known to Col. Hamid or anyone else till this date for knowing the truth. When this crisis developed and Gen. Zia sought help from Maj. Mohiuddin, he advised Gen. Zia to get in touch with the top leaders of Sena Parisad at Bangkok and whatever decision they would take that would be executed. Then he got in touch with us seeking decision. After evaluating every aspect considered decision was conveyed to Maj. Mohiuddin. At that juncture it would not be rational for the Sena Parisad to get engaged in any power struggle with Gen. Zia. So, he was advised to defuze the explosive situation and restore normalcy. Gen. Zia was told from Bangkok in clear terms that not for his sake but for the greater interest of the nation the revolutionaries of Lancers would be complying with his order. But he must know that being entrapped by the powermongers the anti national self defeating game that he has initiated after distancing himself from Sena Parisad and compromising with India just to keep the state power in his fist, it would be he alone who would be held responsible for this erroneous move and has to bear the consequences whatever that might be in future. He was further told that due to blood and sweat and sacrifices of those who had brought him to the center of power from the gutter and are now betrayed and abandoned by him even then, he can be rest assured that Sena Parisad will never get into any kind of confrontation at this critical juncture for the greater interest of the country. As any such move will present the opportunity to expansionist India to turn Bangladesh into another Bhutan or Sikkim. Before ending the conversation Gen. Zia was warned and told, the path he is trodding would lead him where that the countrymen will be seeing in due course of time but he must know that Sena Parisad would never brtray with its aim and ideals. Zia was swallowing the bitter truths. Perhaps, his dark face got even darker thinking that even staying abroad we are informed to great extend about his lust for power, shrewd hypocrisy , false pretention and Munafikat(Trechary). 23edNovember, leaving one Squadron of the Tanks at Savar rest of the Bengal Lancers went away to Bogra. All the paper tigers at the AHQ had a sigh of relief! Zia had a smile. Now, the whole of Dhaka cantonment has come under his control. There is no one to challenge him. At that time he was in the spin of power struggle. Though he was the supremo, he was not in peace. All around he could smell of fuming discontentment of the rebles. Zia became insane to usurp absolute power. The sly foxed around him could realize his condition. They could see his doom’s day was approaching fast. Any time he might be catapulted from the center of power. After him who? Who? At that time staying beside him Ershad and Manjur got into a serious power struggle. The sly oppurtunist Shawkat was adding fuel to the both. In the shade under the light this game was on. More Zia was using strong armed tactice to secure his power more he was pushed by his advisors towards the ultimate consequences. Three Khalifas were playing their cards very cautiously on the quite behind the scene. Behind his dark glasses Zia might have got a smell but, did not care to take that into cognigence. He thought he was then standing on a solid foundation. So, no compromise with the revolutionaries. An angry Zia is very cruel and frightening! Zia’s negotiation with the revolutionaries broke down. They had considered that Zia had betrayed them though he was promise bound. In retaliation Zia ordered to crush them. I shall write more in details later. Now, back to Col. Hamid’s writings. Zia was then impetuous and ferocious. Without any discrimination he was then bent upon to weedout the revolutionaries. A long list was handed over to him by his trusted DGFI and his coursemate Gen. Mohabbat Jan Choudhury. Zia was then mounted on the Tiger’s back. However, I was deadly opposed to such indiscriminate killing spree. But Zia was then adamant. There was none to cool him down instead all those around him reading his mind rather instigated him. Because none of them including Gen. Zia himself had no respect or appreciaton for the revolutionaries. The army where is no Insaf(justice), no rule of law, no end of palace clique, the army chief does injustice, does not honor the trust, who only looks to his selfish interest, believe in hear say, I don’t want to serve that army. Look Hamid, leave aside all these sentimental trash. No Zia, I have not come to beg for my promotion. If I am fit I get it or I don’t. As I stood up, Zia got mad. He also got up. He screemed, my trusted officers are telling with evidences that you are trying to be popular with the troops. Your troops are creating hinderance on the way to restore decipline. You are not taking any action but giving all the indulgences. Dost you stay happy with your trusted officers around. Just, release me. But do remember my last words. Those had suddenly flocked around you flying, they will finish you one day. You have torn off my resignation letter, I shall send the same again after returning to my office. Please, accept that but be considerate to allow mw to draw my pension. After I had resigned my life bacame tough. Many officers had protested against injustice and wrong doings before. They were made to retire or had been dismissed. I was perhaps the only army officer who had asked himself for retirement from the government service protesting against injustice and wrongs. But I had to pay a heavily. I found myself unsafe. Ershad and Shawkat remained active for long to make my life misserable. I experienced in this country to protest against any injustice and wrong doing is hazardous. Instead, it is lot benificial to become sycophant of the mighty ones. In that case one does not have to be an eyesore of the powerfulls. One can enjoy more than he deserves. One can also enjoy a secured and comfortable life. If one knows the art of hobnobbing and go along with the wind then he can have best of everything in life. As the situation within the armed forces got normalized the razor sharp axe befell on the revolutionaries. Gradually oppressive measures were faced by any officer or soldier imbued with revolutionary spirit. Dismissal, premature retirement, transfer and other punishments were ramphant. All the revolutionary officers and soldiers were sent out from Dhaka. Though Zia was installed at the center of power by them. Because of all such unfair measures once again the anger started fuming slowly. Unfortunately at that time Zia was surrounded by those kind of senior officers who never ever nurtured any revolutionary ideas or cared for the interests of the revolutionaries. Though Zia’s meteoric rise was due to sincere heart felt love, respect and trust of the revolutionary members of the armed forces immediately after 7th November he started taking himself away from them speedily being surrounded by his aristrocatic cronies. The beloved army chief of the revolutionaries failed them in meeting their aspirations and to keep up his own pledge! Displeasure due to breach of trust and commitment started fuming in all the cantonments. The Signal Battalion was sent out from Dhaka. Bengal Lancers to Bogra. 38 LightA.A.Regt and all other units had to face such unjust treatment. Thus, all the revolutionaries were sent out from Dhaka. Particularlly, those were involved with 15th August and 7th November were persecuted. Axe befell on those officers and soldiers who brought Zia to power. The hand picked trusted officers of Zia were those who had nothing to do with these two historic armed uprisings. Nor they had made any sacrifice. Everywhere, stage managed fursical uprisings could be seen. After the revolutionaries installed their beloved General to the center of power news of 18 such small and big uprisings were widely propagated. No cantonment was left out Dhaka, Chittagong, Comilla, Jessore, Rangpur, Sayedpur, Bogra. Under the cover of such fictitous propaganda. how many were killed, went to gallows, thrown inside the Jails, died in encounter, assassinated still remains unaccounted for. The sky shivered with breath taking cries of hundreds of families. from every unit commander 20 to 30 names of officers and soldiers of differen ranks were sought. This order was issued from the AHQ with the consent of Zia. They were either killed brutally at the firing squad or hanged without any trial. The ring leaders of this killing spree managed to convince Zia that this kind of ruthless action would create shuch a shock wave that everything would cool down. There is a saying, ‘Danday shob thanda’. The revolutionary spirit would evaporated from the heads of the ranks and files for ever. being frighten they would say, ‘Chere De Maa Kede Bachi’. But does the history bears this testimony? The answer is NO. Because, taking advantage of such inhuman brutality the snakes under his sleeves conspired a stage managed abortive coup in which Zia and a few of his close aids had to loose their lives in a brutal massacare. Zia was burnt to ashes in the flame of the fire which was lighted by himself. Though Zia had fell victime to a conspiracy but the fact that has to be accepted that it was none other than Zia himself who had given that oppurtunity to the conspirators by suicidal betrayal with the revolutionaries. After getting reinstalled to the seat of power Zia did not keep any promise that he made to the revolutionaries. Not did he implemented any of their demands. Instead, he rolled the steam roller on them. He got hold of the reble members of the armed forces and punished them brutally. As the country was then under martial law, special tribunals were established for quick trial. 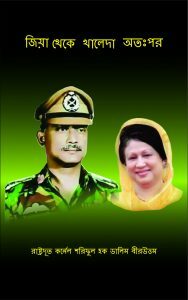 At that time Gen. Ershad was the Deputy Chief. The special tribunals were functioning under him and the courts were dispencing with the cases quickly. Thus started the episode of firsical trails in those kangaroo courts. Within a few days hundreds of officers and soldiers of the Army and Airforce were hanged. The courts did not comply with the rules and regulations of the armed forces. In the five major Jails every day minimum 8 to 10 persons were hanged. Beside hanging, hundreds were shot dead every day in the firing squad. Other than this hundreds became victims of judicial murder in custody. Thousands were inhumanly tortured and died in the prisons. From 3ed to 5th October every night hundreds of soldiers were rounded up from the barracks of army and airforce and used to be taken to torture cells. None of them returned alive. In every cantonment one could hear the cries of the tortured souls, air was heavy with the mixed smell of gun powder and blood along with heart braking Matam(Cries in unbearable grief) of the beloved ones left behind and their Fariyad to Allah. Cold bloodedly, Gen. Zia had brutally killed more than two thousand revolutionary members of the armed forces being ill advised by his cronies. According to official statement after taking over power by Gen Zia, within two months 1143 members of the armed forces of different ranks were hanged. The number of Airforce personnel was 561. The number of those who were killed at the firing squad remains unknown up till now. Thousands were thrown out from the armed forces. In the passionate revolutionary process the patriotic revolutionary officers and soldiers of the armed forces who had brought Zia to power staking their lives in return got trechary, mistreatment, injustice, repression, oppression, jail, gallows, assacination, dismissal! The deadbodies of those unfortunate ones were not even handed over to their close families. They are still surching their beloved ones. Where so many bodies were barried that is also a mistry! Many thinks it was a planned genocide. In all the cantonments after killing the officers and the soldiers the shaheeds were also denied proper religious rights. Mass graves were dug with bulldozers and the deadbodies were buried with their uniforms and boots. Their immediate families are still looking for the bodies of their dear ones. None heard their cries nor they got any justice! Alas! Spilling of blood in the independent Bangladesh which we achieved sacrificing millions of lives did not stop. The humanity is gasping under the feets of the traders of power. Choked voice of the weaker is not heard. In this very country justice is denied. Did the fellow countrymen wanted such an independendent country? Would this country and the whole nation gradually get submerged one day in total darkness? Is there no alternative to save this wonderful mother land from such a fate? The younger generations must give serious thoughts on these issues to find out the correct path. They must also find out selflessly dedicated leadership evaluating their track recoed to lead them on that path. Let’s turn back to Bangkok. After the fiasco at the Darbar at the Senakunja suddenly one day Gen. Zia informed us that he is sending Gen. Nurul Islam Shishu to Bangkok to know our welfare and for some discussion. Shishu Bhai is particularly well known to all of us and we loved him. Most of all developed intimate relation with him during the liberation war. But my intimecy was old due to family relation. His younger brother Kaiser was a good friend of Shapan as well. At the beginning of sixtys when Capt. Khaled Musarrof, Capt Mir Sawkat and Lt. Nurul Islam Shishu as young officers were posted at the Comilla cantonment at that time I was in Victoria college. In musical function, Drama, games and sports, politics, social work, even in mastani we were dominating factor. Col. Jalil was then the commanding officer of one of the E. Bengal Regt. His wife was a good friend of Amma(My mother). In view of this they used to visit our place quite often to attend homely functions and on special occasions to have a good time. Later we met again at the battle field during liberation war. During the war our relation became more intimate. Shishu Bhai was witty, lively and happy go lucky type so we used to like him very much. At the initial stage one day Shishu Bhai arrived from the sector to the headquarters at the No8 Theatre Rd. The horrifying and ugly face of the war had made him a patient of high blood pressure and heart murmuring. Therefore, he requested Col. Osmani to appoint him as a staff officer at the headquarters so that he can also avail proper treatment. Since then he remained at the headquarters till the end of the liberation war. At that time he developed some kind of affair with a nurse. We at time used to tease him for his affair. After liberation the armed forces headquarters was first established at 27 Minto Rd in a two storied building under Gen. Osmani. Maj. Salahuddin and Lt. Nur used to live there with Gen. Osmani. Shishu Bhai was also working as a PSO at the headquarters. Suddenly one day Capt. Salahuddin came running to me and said that Shishu Bhai is missing! Our ‘Nabalak Bhai’ is untraceble for a few days. No where he could be found. Gen. Osmani became furious and asked Salahuddin to find him by any means. He must be brought in front of him. We surched every possible places in Dhaka but couldn’t find him. Sudenly it came to my mind it could be possible that he might have gone to his girl friend at Calcutta to hide himself. As we called we were told he was their. We managed to get him back. He was adament he is not interested to serve in the army any longer. But ‘Papa Tiger’ would not release him as at that time there was a acute shortage of officers to raise the armed forces. We however told him once Gen. Osmani cools down we shall make him understand and shall solve his problem. Later, at the initiative of some leaders of Sena Parisad he was promoted as a Brig. and was sent as the Military Atache’ to Burma instead of Gen. Zia. During Gen. Zia’s time he was promoted as General and as his political Guru earned the fame as the ‘Rajputin’ in the political circle of the country. Our beloved Shishu Bhai and Tony Bhabi came along with Khawaja Kaisar came to the airport at Rangoon to meet us on our way to Bangkok. At that time I quietly in short told him that once Gen. Zia would be free he would be recalled so he should remain prepared. My relation with Shidhu Bhai and Tony Bhabi was at family level. After independence when we were together at Comilla then his twin daughters Laju and Kaju mostly used to be with Nimmi as Shosti did not come to this world till then. Laju and Kaju’s world was around their Nimmi auntie. On week ends when we used to come to Dhaka they used to live mostly at Mali Bagh not in their own home at Pak Motors. There was another reason beside family ties for intimacy. When Shishu Bhai revolted with 2 E. Bengal then like Khaleda Zia tony Bhabi along with the children were also put under house arrest by the Pak Army. Later Shapan Bir Bikram(My only younger brother) and close friend Kazi Kamal led a daring guerrilla operation and got out Shishu Bhai’s family from the custody and reached them across the boarders. In view of such deep intimacy Gen. Zia is sending him to the discussion. An classic example of a cunning move indeed! We have to think about Gen. Zia afresh. Is Zia the same at his heart as he menifest or is he doubble faced? We remained engrossed thinking about all these and were passing uneasy time being concerned about our uncertain future. As a honest and man of charecter and co-fighter he took the vow touching the Holy Quran during the libaration war and dedicated himself to fight united as one against the expansionist design of India and for the social revolution to emancipate the vast majority of have nots. This is why we had considered him as the central figure of the organization and moved forward surmounting all hurdles after independence to impliment the spirit and dream of the liberation war. Through many ups and downs when pains takingly organized Sena Parisad succeeded to bring him to the center of power he changed himself and became an enemy within! We found hard to believe this. But, this is an undeniable stark reality at present. We are being frantically urged from the country to take our own initiative to return forthwith without waiting for Gen. Zia’s decision. Everyone is doubting once he gets firmly entreanched at the seat of power he will never allow us to return to the country. In that case what would be the fate of the Sena Parisad and the revolutionaries that should also be thought about. Many had opined Zia’a ‘Bastil’ has to be demolished now otherwise it would be too late and all the arduous struggle and selfless sacrifices will godown the drain. The way Zia keeping the guns on the shoulers of Sena parsad has eliminated Col. Taher and his Biplobi shoinik shangstha making them cannon foders in the same way he has made his ‘Bastil Fort’ to uproot Sena Parisad and the revolutionaries of this organization. The immoral charecterless oppurtunist officers gathered around has confined Zia in the cobwave of the spiders. The leadership of these spiders are provided by the stooge of India Gen. Ershad and charecterless corrupt Gen. Mir Shawkat. Zia is now doing everything as advised. If the top leaders do not return and overthrow these conspirators including treacherous Zia then the very existance of the country would be in danger in future. At that crucial juncture we were pondering seriously, whether our return and confrontation would resolve the present crisis or it would further complicate the situation or the country and the entire nation would plunge into more peril and suffer irreparable losses! theZia had no compulsion. He took the oath at his will according to the practice. Since then there had been no breach of trust from our side, in that case why did he betrayed us! Of course, Shishu Bhai once tried to caution us during the liberation war about Zia’s character but we discarded his submission with strong logical arguments. Astute politician Khandakar Mushtaq Ahmed could see through his duality of his charecter and cleverly taken himself away from Zia. But the irony was the common masses and soldiers have the perception that Zia is one of the revolutionaries. Against this back drop any armed confrontation would rationally be viewed by the people as a power struggle. As a result, the nation and the armed forces would get divided. And India will never allow that opportunity to go out of thir hands. With a divided armed forces and nation would it be possible to organize a resistance movement to defeat the expantionist India? The answer is, no. Therefore we had taken decision not to return against the will of Gen. Zia for the greater interests of the country and the nation. We shall try to understand him, his motive and game plan from away. All though Shishu Bhai is coming as Gen. Zia’s emissary but we were certain that he would accomplish his responsibility but would also oblize us with his personal sincere and frank openion if we have any querry. So, we shall take full advantage of his presence. Our discussion would be sincere and open minded. So, we contacted him and asked him to reach Bangkok as soon as possible. Shishu Bhai was a happy go lucky type person but with razor sharp intelligence. His analysis of complex contradictions bears that testimony. It was decided we shall try to know his personal answers to our questions. The liberation war had brought fundamental changes in the mind set and thought process of many of us. It has given us to think about the contry and the nation more maturedly compared to our age. This also provided us the opurtunity to be more conscious politically. This was not the case with Zia, how could one rationally say that for sure? After hearing my reply he refrained saying anything further. We wanted to move ahead keeping him in a particular place then why once he was brought to the center of power shunned all the ideals, aim, idiology and political programe of the organization being advised by some self seeking oppurtunist cronis of his decided to go on a wrong way and trying to rule the country with anti national and anti people politics like that of Gen. Ayub Khan? Why is he duncing on the dead bodies of those who with their blood and sweat through an arduous struggle had brought him to the seat of power like the Hindu God Lord Shiva? Is he also failing to understand what fatal consequence that he might have to suffer at the end? Why the trust deficite has been evolved between us? Our thoughts and ideas were the same, why then today we are being considered to be his enemy? Was there any darth in our sincerity? We have becom so much an eyesore that it seems that we shall never be able to step on the soil of the country! Why are we so much unwanted? what should be done in such an situation? Everyday disturbing and negetive news are coming from the country. After due deliberation we are trying our best to keep up the moral of the members of Sena Parisad. In such a precarious situation one night after a meeting among us on these questions I had lyed down on my bed in despire! suddenly, the scene of a very important meeting with Zia came to my mind. An well thought of ideology and principled ideals based on the aspiration of the majority of the people and the steps that are necessary for the progesse of the country. A deciplined organization under the delflessly commited leadership. A well droctinated dedicated fleet of caders. With them we shall raise the covered organization Sena Parisad within the armed forces after independence. You would be the central figure of that organization. Sir, know one thing, no one cam touch you as long as live, not even the government. by the kind Mercy of Allah and Dua of the fellow countrymen we shall install you at the seat of power In Sha Allah. After independence the Awami League made a few attemps to remove Zia from the army but the Sena Parisad foiled every such attempt. Initially, at the formative stage it was me and Nur who used to contact with Gen. Zia discretely as and when required. After he became the deputy chief of army staff as Capt. Nur was appointed as his ADC and Maj. Hafiz as his Aid D’Com to remain in touch became easier. After taking the oath in the name of Allah Pak, the members of Sena Parisad whole heartedly accepted him as their leader. Not only that Sena Parisad was determined to establish him as the national leader to materialize the charished dream and spirit of ’71, then why this treachary? The heavy and anguished mind at one time fell asleep.